Letty Coppel Foundation delivers materials for the summer courses in Los Cabos. Posted by admin in Social Assistance on 07 24th, 2016 | Comments Off on Letty Coppel Foundation delivers materials for the summer courses in Los Cabos. Letty Coppel Foundation visits the ranches of the Municipality of Los Cabos. Posted by admin in Social Assistance on 07 22nd, 2016 | Comments Off on Letty Coppel Foundation visits the ranches of the Municipality of Los Cabos. 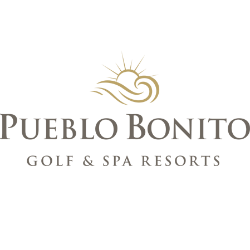 Administration students from ITES in company with the Dr. Graciela Tiburcio Pintos visited Pueblo Bonito Sunset Beach in Cabo San Lucas with the intention to make a research about the sea turtle preservation. The Letty Coppel Foundation gives scholarships in Los Cabos. Posted by admin in Social Assistance on 07 16th, 2016 | Comments Off on The Letty Coppel Foundation gives scholarships in Los Cabos. The Letty Coppel Foundation in Los Cabos, as every month grants were given to the breasts of children with disabilities, for the purchase of diapers or medicines that they require, mothers very punctual to sign receipt of their financial support. The Letty Coppel Foundation delivers groceries to the elderly, in Los Cabos. Posted by admin in Social Assistance on 07 4th, 2016 | Comments Off on The Letty Coppel Foundation delivers groceries to the elderly, in Los Cabos. The Letty Coppel Foundation present at the anniversary of the Mexican social security institute Los Cabos. Posted by admin in Comunity Development on 07 1st, 2016 | Comments Off on The Letty Coppel Foundation present at the anniversary of the Mexican social security institute Los Cabos. The Letty Coppel Foundation participates in the cultural event XXV Anniversary of the Mexican Institute of Social Security of Cabo San Lucas, with the presentation “Communitarian Actions of the Letty Coppel Foundation” congratulations to all those who collaborate in this Institute.